Understand the wrong definition of inflammable and you might end up with more than an embarrassing situation while talking to your English professor. Inflammable and flammable are two words that are frequently misinterpreted. Some people mistake the words as having opposite meanings. 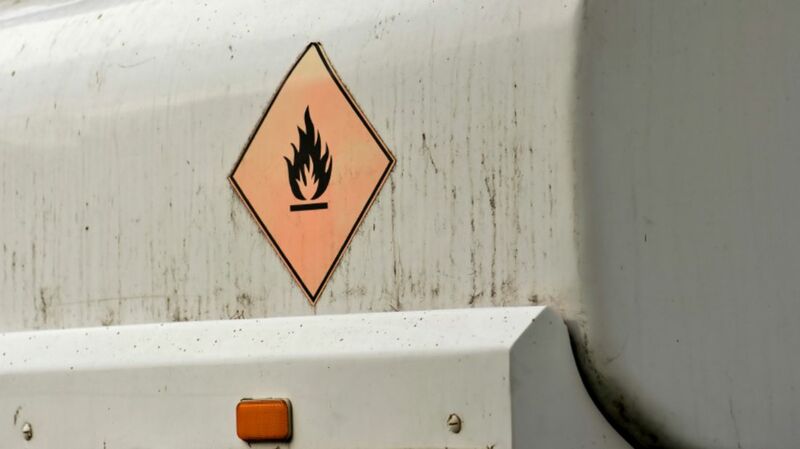 In reality, flammable and inflammable mean exactly the same thing—capable of burning. Inflammable is derived from the word inflame (sometimes spelled enflame), and precedes the invention of the word flammable. The first syllable, in, is often confused for the negative prefix in- which is like the latin prefix un- (see: inconspicuous, inescapable, indestructible, etc…). The in- prefix in the case of inflammable is derived from the Latin prefix en-, meaning “to cause (a person or thing) to be in” (like enslave, encourage, etc…). With all this confusion behind the definition of the word inflammable, the National Fire Protection Association urged Americans in the 1920s to start using the word flammable to avoid confusion and prevent fires because they thought people may mistake inflammable as meaning not being able to burn. The word flammable eventually became part of the common vernacular, but a lot of confusion still remains today. So always remember that inflammable means exactly the same thing as flammable—it could save your life.